Calcium carbonate is a hardness granulate of more than 99% CaCO3 (calcium); grain size approx. 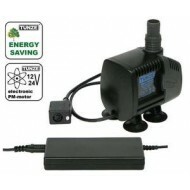 4 ..
Mains connection: 230 V/50 Hz (115 V/60 Hz). Cable: 2 m (78.7 in.). Maximum air capacity..
Up to a glass thickness of 27mm (1") consisting of two equally dimensioned magnet halves of a wid..
Flow rate at 18 V: 900 to 2,200 l/h (240 to 580 US gal./h). 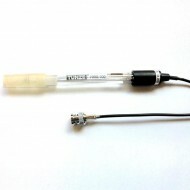 Flow rate at 24 V: ..
Made of glass, BNC, cable length 2 m (78.7 in. ), suitable to replace mV Controller 7071/2, 7.. 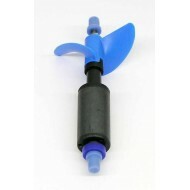 Recommended for aquariums from 40 to 200 litres (10 to 50 USgal.) of salt water. .. 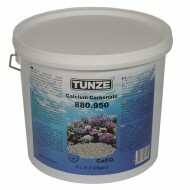 Recommended for aquariums up to 600 litres (155 USgal.) of seawater, Dimensions: L 125 x W 1..
Water level regulator with two sensors suitable for use in cabinet filter plants, in Comline filt..